Asking for permission to add someone to your email marketing list is not just a courtesy, it’s an important part of your email program’s long term success. If you fail to ask for permission, email recipients may end up marking your messages as “spam” – hurting your sender reputation with ISPs, which can hurt your delivery rates, meaning your messages may not beat spam filters for your other subscribers. Though it is completely the web user’s fault for not reading your sign up form instructions word-for-word, it doesn’t matter. When someone receives email he or she does not expect, is not relevant to him or her, or is otherwise annoying, that email can be marked as “spam.” In fact, some folks believe marking a message as spam unsubscribes them from your list, which it does not. It only hurts your sender reputation – it also hurts your brand’s trust in consumers’ eyes. 2. 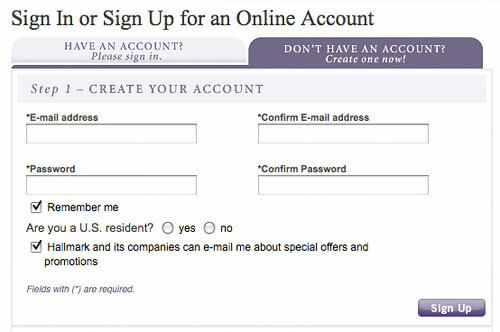 Consider using a “double opt-in” system to confirm permission. I say consider double opt-in, since it’s the topic of much heated debate in the email marketing world, and not as common in online retail. 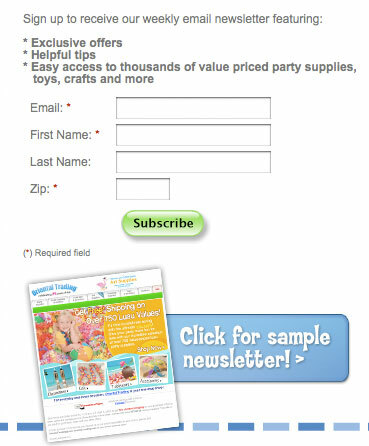 Double opt-in means the subscriber must open your confirmation email and confirm subscription before being added to your mailing list. This protects you against “spam bots” that can subscribe with fake email addresses. Some fake email addresses are actually traps to identify spammers. If you send an email to a spam-trap email, you are flagged by ISPs and your email won’t get through. You also risk being added to blacklists that organizations use to detect spam (especially risky for B2B businesses). Also, some ESPs (email service providers) won’t take you on as a customer unless you use double opt-in. Another advantage of double opt-in is you have “proof” of subscription intent if you are ever legally challenged for spamming. 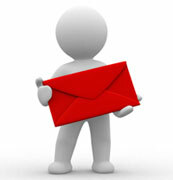 Remember, as mentioned above, many email subscribers use the “Report Spam” button incorrectly. The tradeoff for these advantages is 20-50% of subscribers won’t bother to confirm, or won’t (ironically) see your message because of spam filters. If you can live with a smaller list in exchange for better deliverability, then consider double-opt in. Also consider that the subscribers who don’t confirm are less likely to be engaged in the rest of your email program, so double-opt in is a way to weed out inactives right away. This in theory should improve your performance stats – more opens, more click throughs, more ROI. If you’d like to debate this tip or share your experiences, let’s get a discussion going in the comments. 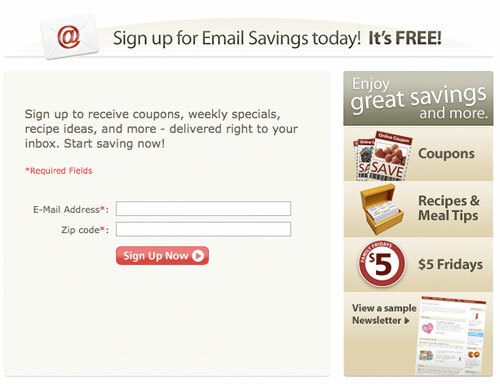 Let customers know if your emails include sales, new products, special discounts or informative articles. Even better, link to a sample email. Clearly state that users can unsubscribe at any time upon sign up, and make your unsubscribe link very easy to find in email messages. It’s better a user unsubscribe than mark your message as spam. Show this point-of-action assurance next to the email address field. If you have multiple brands, don’t mix your messages across lists. Ask if subscribers are interested in your sister brands before you add them to their lists. There is also a right way to introduce sister brands by email. Sadly, following these tips does not ensure you won’t have subscribers hitting the “spam” button. As Q Interactive and Marketing Sherpa reported only 2 years ago, 56% of consumers feel email from known senders is spam if it’s “just not interesting to me.” 50% believe “too frequent emails from companies I know” is spam.” List cleaning, segmenting your campaigns and knowing “how much is too much” concerning email frequency are the next steps after the above for optimizing your email campaigns for deliverability.